Muscle and Blood – Paper Never Refused Ink! Reproduced here with the kind permission of the Editor of An Cosantóir, this is my Article which will feature in the April 2018 edition. Delighted to have collaborated with my shipmate L/Sea Donnacha Curtin on this article. LÉ SAMUEL BECKETT is a fine ship. She represents the first of her class and already in her four short years of service she has travelled far and wide, and she has been involved in several substantial and difficult operations. Yet despite all her exceptional engineering, her advanced technology and her substantial firepower; she is but an inanimate collection of steel plates, electronic cables, and marine fuel oils; rendered redundant in all her marvellous sophistication without a crew. A crew of sailors is needed to provide the ship with its muscle and blood; without them, this wondrous craft won’t ever weigh anchor or slip from a quayside. The metaphorical ink is still wet on this page, as the first responses to the swell rolling into Cork Harbour are felt onboard LÉ SAMUEL BECKETT as she proceeds past the twin forts of Meagher and Davis, towards Roches Point and the Atlantic beyond. This is home for her crew of forty-six, during this next Maritime Defence and Security Operations (MDSO) patrol. 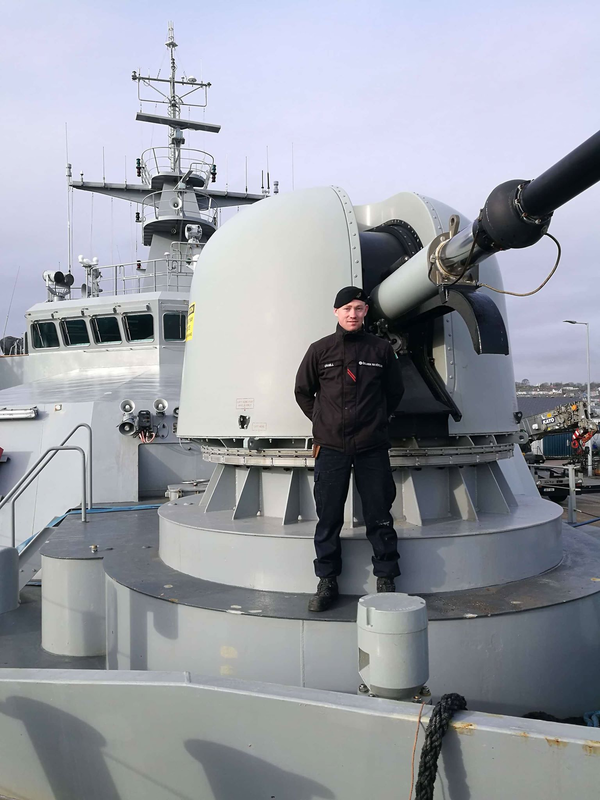 She will provide everything they need to sustain themselves during operations off the Irish coast and they in their turn will tend to their ship, while carrying out the duties assigned by Naval Operations Command (NOC). LÉ SAMUEL BECKETT has the ability to adapt and change its mission focus almost instantly. 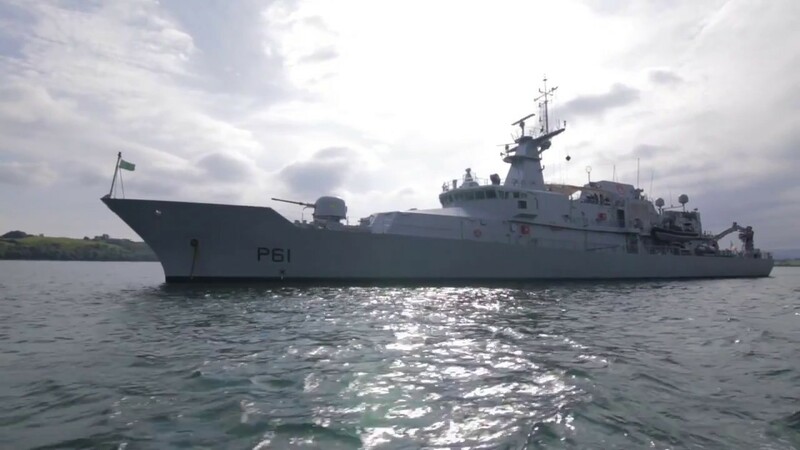 This remarkable ability to respond so quickly, to any of the vast range of tasks which can be required by the Irish state, is one of the primary reasons for having a standing armed naval force, equipped with modern patrol vessels, crewed by highly trained and highly motived personnel of all ranks. A world of its own. The Naval Service is divided into four major branches of specialisation; they are the Executive, Engineering, Logistical, and Communications Branches. There are commissioned and enlisted personnel in each branch and each branch has its own sub-specialisations. Onboard the ship, a distinct command structure exists, which is often confusing to those on the outside looking in; however, it has served the Navy well and provides robust mechanisms of problem-solving and getting things done. The general structure and key appointments within it have lasted over the seventy-one years of the service. Many of those ranks and appointments have existed on naval vessels since the days of sail, while some of the terminology and naval slang has been inherited or ‘borrowed’ from other navy’s down through the years; this can result in newcomers to a ship being communicated to in a language which would take a standalone article in itself to explain. The command and control structure of the ship is vitally important, there is no room for confusion at sea. There is an ever-present danger to life and limb as soon as that first foot is laid upon the gangway, and as one gets underway, that danger only increases. The ships commanding officer bears the responsibility of command for the seventy-one million euro warship and for the welfare of his ship’s company at all times. Assigned to several appointments are the ships commissioned officers, who run the various branches in conjunction with the ships Senior NCOs. The main body of the crew are the enlisted personnel who will be the focus of this article and they are as we will see a diverse team. Dress & Drill are cornerstones of Discipline. The youth of today are the leaders of tomorrow. Each crew member has a multitude of roles and it can be difficult to interview the younger sailors who work very long hours while at sea. 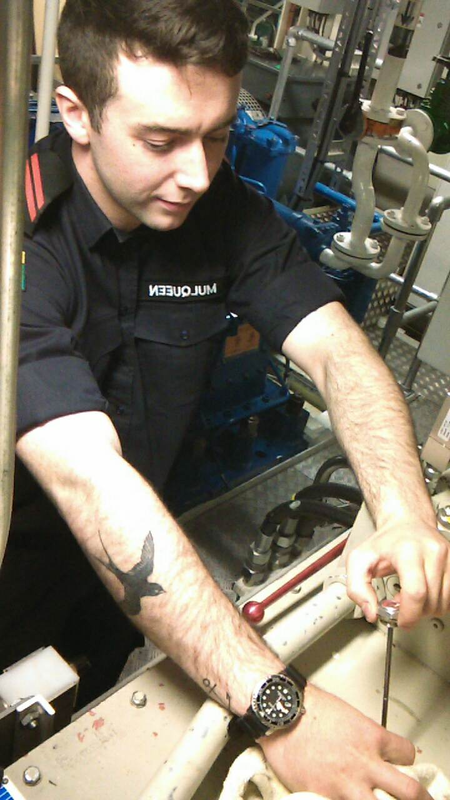 A seaman can expect to be awake, in uniform and working for at least a hundred hours per week at sea. It is an arduous task, with physically demanding work and it certainly isn’t for the fainthearted.It is an arduous task and with physically demanding work it certainly isn’t for the fainthearted. A/Mech Mulqueen keeps an eye on all engineering spaces. Correct communication is such an important part of military operations. Able Communications Operative (A/CommOp) Tristan Brennan says that what dragged him from his home in Donegal to join the Navy was ‘I guess you could say the recruitment adverts lead me to join, it looked exciting and it seemed like a career that I could give a shot.’ A/CommOp Brennan’s main place of work is in the Main Communications Office (MCO) or on the bridge and it takes a long time to train personnel to take on this critical role, he describes his training ‘The communications branch training is the longest course which people undertake after recruits, it is very mentally focused. A lot of study is required and a large amount of learning on all manner of military, tactical and civilian radios. We also need to know communication via flags for fleet work and we must know Morse code for visual signalling via the Aldiss lamps. 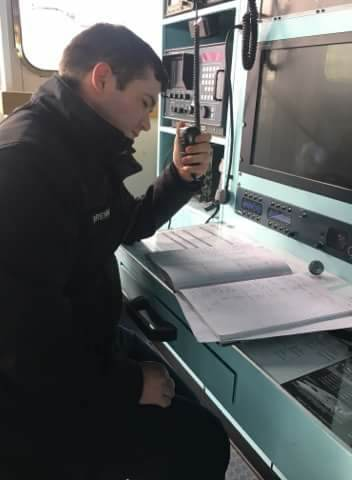 I have almost a year now completed onboard LÉ SAMUEL BECKETT and I am enjoying it.’ Another important task assigned to the Communications Operatives onboard is that of Breathing Apparatus (BA) Controller during the emergency response to a Fire Fighting indecent onboard. A/CommOp Brennan will be in charge of ensuring a firefighting team has go ‘on air’ correctly and once they are fighting the fire, he will monitor their pressures and give regular updates as to their time remaining within the stricken compartment. It would take a telephone directory to accurately detail all the role and responsibilities of the entire crew. 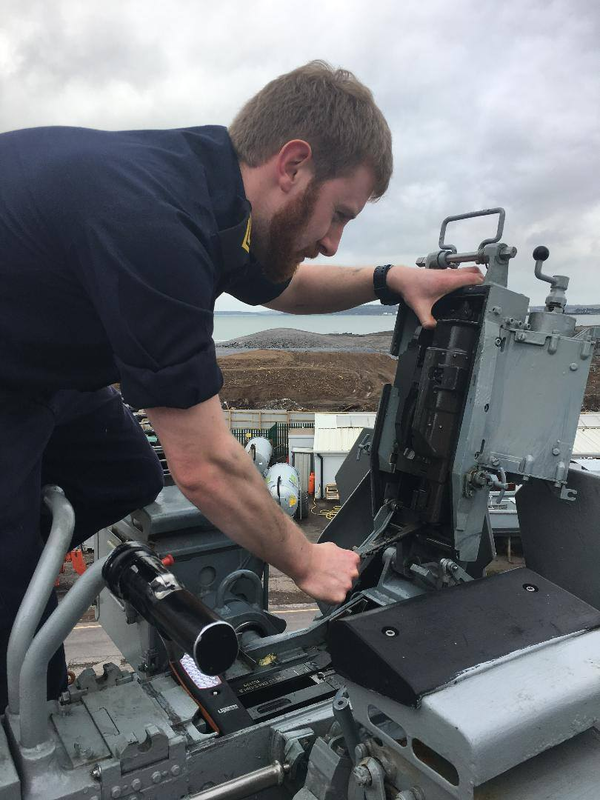 This short article is only a snapshot of the young people who are the core of the Navy. They do their work, quietly and professionally in the roughest seas in the world. They leave families and the always-connected modern life behind and head out in the ocean, working on behalf of the state. Doing a job which not everyone can do, yet which is more important now that ever before. 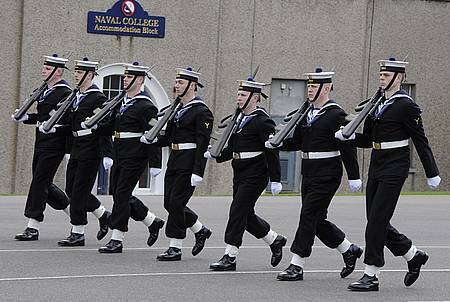 They follow generations who have gone before them and they can hold their heads high in the company of any of the sailors past and justifiably so. They have been tested by sea and have never been found wanting. Executive Branch was and is still commonly referred to as Seamans branch. On 14 March 2017, a Sikorsky S-92A operated by CHC Helicopter under contract to the Irish Coast Guard (call sign Rescue 116) crashed into the Atlantic Ocean while providing top-cover (communications relay) support for the Sligo-based search and rescue helicopter, Rescue 118, during a rescue mission off County Mayo on Ireland′s west coast. Ships husbandry is vital to the health and safety of the ship’s company. The cleanliness of the entire ship has to be maintained and it takes hours each day. The ships communal areas, in particular, are kept spotless under the watchful eye of the ships Bosun, a Petty Officer Seaman. The crew is divided into watches: 8-12, 12-4 and 4-8. Often called Green, White or Orange watch. Dependant on which watch is manning the bridge, the other off watch crew will be working at their various tasks throughout the day and night. Previous Post Changing of the Watch.